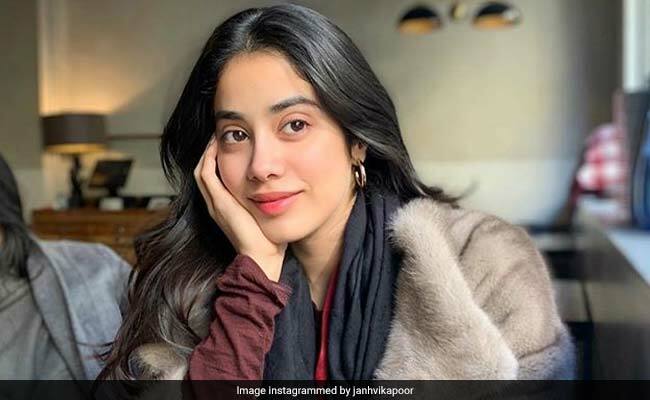 Janhvi Kapoor, in a recent event in Mumbai, said she is really "excited" about Kalank and we can understand why. Karan Johar's production venture originally cast Sridevi in the role that Madhuri Dixit currently features in. After the legendary actress' death, Madhuri Dixit came on board the film. Days after the teaser of Kalank released, Sridevi's elder daughter Janhvi, also an actress, revealed how she felt while watching Madhuri Dixit as Bahaar Begum in the teaser. "I was excited to see her in Kalank from the audience's point of view. I think the teaser of Kalank and every character's look in the film, is look really beautiful. So, I am really excited to see that film," news agency IANS quoted Janhvi as saying. After Madhuri Dixit was roped in for the role following Sridevi's tragic end, Janhvi Kapoor had written in an emotional note that Kalank was very special to Sridevi: "Abhishek Varman's next film was very close to mom's heart... Dad, Khushi and I are thankful to Madhuri ji for now being a part of this beautiful film." The ensemble cast of Kalank also includes Alia Bhatt, Varun Dhawan, Sonakshi Sinha, Aditya Roy Kapur and Sanjay Dutt. Madhuri and Sanjay Dutt will reunite on the big screen after almost two decades. Revenge drama MOM remains Sridevi's last film, for which she was also posthumously honoured with the Best Actress National Award - the first National Award to her credit. Sridevi's last on screen appearance (posthumous) was in Shah Rukh Khan's last release Zero, which she had shot for earlier. Janhvi made her Bollywood debut just months after Sridevi's death. Karan Johar's Dharma Productions has truly redefined grandeur in Kalank. The film is a period piece set in the pre-independence era of 1945 and was conceptualised by Karan Johar some 15 years ago. Kalank hits screens on April 19.